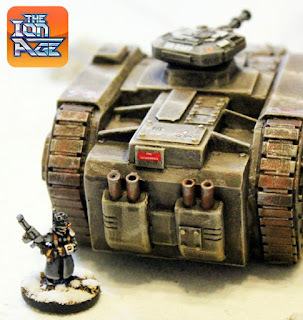 The Ion Age Blog: Tohlic Armoured Crawler offers next week! The big event this month for The Ion Age is happening next week on the 17th October. Three Early Supporter Offers (yes they are back!) on a brand new large vehicle in 15mm scale. Designed by a new member of the small Ion Age family Michal Janecek the Tohlic Armoured Crawler is going to be on 'ESO' from the 17th to 30th October 2017 with a choice of three tiers of deals each offering greater value than the one under it and of course you get your Reward Points AND you can use your accumulated Reward Points upon these deals if you wish. Check back on the 17th to see and pre-order your choice of the early supporter offers. We will be showing you many images of the Tohlic, plus a parts layout along with a free digital download for Patrol Angis which will give you all you need to field this vehicle across the month. There will also be the second part of the short story from last month about the response to the Khanate invasion of Faercycle II in 4338 IC an extract from which is leading this article. Lots to look forward to and ain't she just lovely! 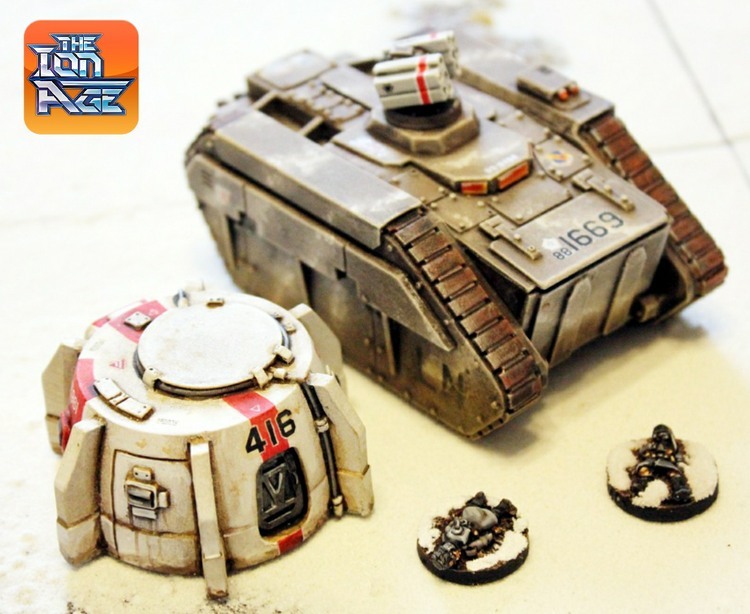 This code contains all the parts required to assemble one large 15mm scale long distance armoured personnel carrier. Used for deep recon it can carry an entire platoon of troops or three battlesuits or combinations thereof operating for weeks away from base. Favoured by Planetary Defence forces but also used by Muster and Retained on suitably frozen worlds the Tohlic is composed of nine parts cast in high quality grey tone resin and white metal. These are the forward hull, the rear hull, the left track unit, the right track unit, exhaust mount 1, exhaust mount 2, Turret 1 (Anda Missile Pod) and Turret 2 (Moth Rotary Cannon). 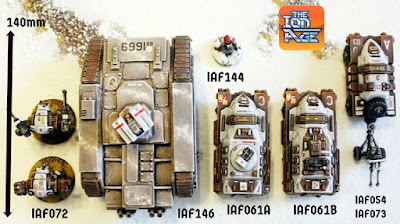 Supplied with two different turrets to use and since they use the standard turret ring they will also fit onto other Ion Age vehicles and structures. This kit is easy to assemble and durable for use on table. When assembled the Tohlic is approx 105mm long and 40mm tall. Price 22.50GBP per pack. The Tohlic Armoured Crawler will be joined by a second smaller release which compliments the IAFP11 PM Cold Climes Platoon. 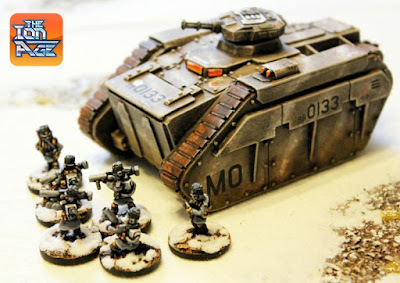 Sculpted by Sam Croes it is a fire team of five Cold Climes Veterans giving you more poses and squad level command options for your planetary militia. These will be given away free with the early supporter offers and will be regular released after the event. Awesome! 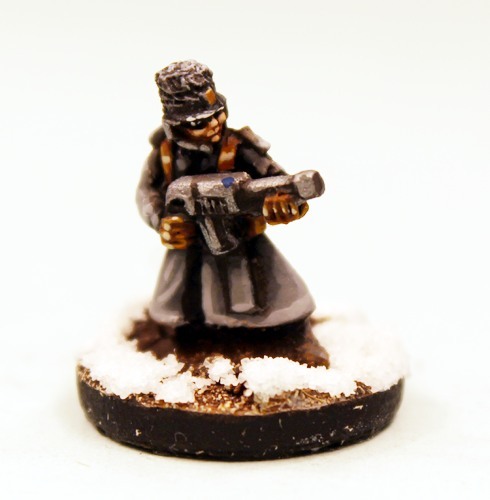 This is the veteran troopers or sergeant poses for your Planetary Militia Cold Climes 15mm defence forces. Co-ordinate the efforts to keep civil law in place on your planet. This pack contains five different 15mm scale white metal miniatures wearing long coats including a Veteran with Hermit 44mm Plasma Rifle, a Veteran with Moth Rifle leaning forwards, Veteran bare headed with Moth Rifle, Veteran advancing with Moth Rifle and a casualty trooper laying face down. As always this code can be bought as a pack or as single miniatures or select the three packs and save 10% option on the page. Price 2.50GBP per pack. Not long to wait and welcome to Michal! Wow that's insane. A total monster.